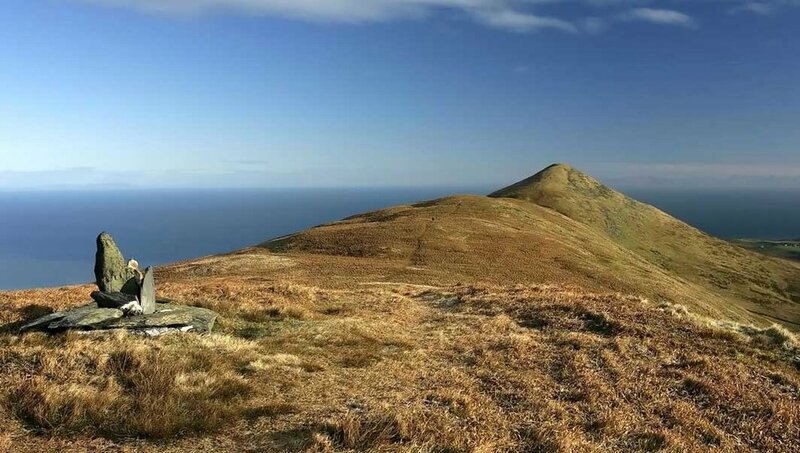 A few reminders for Thursdays Buchanan and Pitts sponsored Carraghan Fell Race, the first short race in this years Callin Wild Manx Fell League. Please do not park near the start and finish area as this will be required for the officials. The Colden car park can be used and also on the road at the side of the reservoir but please park carefully. We would advise as many as possible to car share. Registration is from 6.00pm until 6.45pm at the Colden car park. If you have pre entered you will only have to sign the disclaimer, pay the entry fee of £5 and collect your race number. If you have not pre entered you will have to fill in an entry form. Race starts at 7.00pm. Minimum age 12yo on race day. This race also forms round 2 of the Junior Championship. Ian Young from Civil Defence wishes to pass on his thanks to the large MFR contingent who volunteered to pose as casualties during the recent "Operation Sea Lion" at Groudle Glen. The exercise simulated a train derailment and the response from the emergency services - all of it very interesting to observe! Civil Defence have been fantastic supporters of our events, particularly the Manx Mountain Marathon, and it is always pleasing to return the favour when we can. Could I personally thank you for supporting the above exercise last Wednesday evening in Groudle Glen. Could I also ask that you pass on thanks from all The Emergency Services to all who volunteered to act as casualties from your various organisations. Without your assistance and co-operation it would be impossible to run major incident exercises of this nature. For information , there were 76 ‘casualties’ and over 40 Emergency Services personnel involved in the exercise, which will be the largest exercise to take place on the Island in 2018. Anyone requiring transport to Ramsey for the start of the Manx Mountain Marathon please use the form below to book your seat. Spaces are limited so book early but anyone coming in from Douglas, Onchan or Laxey have the option of using the public bus if more convenient. The public bus (service 3) departs Douglas Lord Street at 06:45, Manx Arms (Onchan) at 06:58 and Laxey at 07:10, arriving in Ramsey at 7:30. There is no transport provided to the start of the half in St Johns, or return transport from the finish. Bags can be transported from Ramsey and St Johns to the finish. Just ask at registration. If you can help out on the day please get in touch via the CONTACT FORM or let a committee member know. We'll need your email address and contact phone number(s).